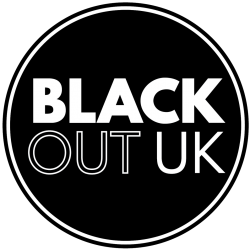 BlackOut UK Read: Bristol Has a Queer Black Enclave, and it’s Fabulous! Much like the Scissor Sisters’ hit, Kiki is a lively gathering of Queer, Trans, Intersex People of Colour (QTIPoC) in Bristol. Here we meet new people, eat, dance the night away or just spill tea. However, this kiki is unlikely to be shut down by “Johnny Five – O”. In fact, this relaxed gathering of QTIPoC convenes in a discreet location specially chosen so that all members of our community are comfortable being themselves in a safe relaxed environment. Selective disclosure of this location also ensures the security and discretion of attendees. Kiki begins with casual networking over food and drinks, followed by an open mic session. The final act, Kiki’s dance section, begins with stirring rhythms, culminating in a set of compelling Afrobeats from Cape Town to Lagos as well as other good vibrations. The event specifically caters to LGBTQ PoC, but also welcomes non-LGBTQ allies of the community. Founded in the autumn of 2017, Kiki is Bristol’s first ever LGBTQ social for and by PoC. Frequented by creatives, students and professionals, it gives QTIPoC – doubly excluded from conservative social groups and Bristol’s white gay scene – a safe space where they can reimagine, redefine and live out their identities in an accepting, warm space. Born out of the need for an LGBTQ enclave for PoC away from the predominantly white scene, Kiki allows QTIPoC to live their sometimes necessarily discreet sexual and gender identities in a non-threatening environment. Kiki is testament to this. Moreover, by putting local QTIPoC artists and DJs in the spotlight, Kiki highlights the work of talented Bristol-based creatives who might otherwise be overlooked, and provides them with a platform to convey their truths through their art. Bristol has few events which specifically cater to QTIPoC – indeed, Kiki is the first of its kind. We are resourceful, but without effective economic support, the disparate communities of people that Kiki has brought together will be forced to return to spaces where their identities are ignored, if not eroded and assimilated into suffocating conservative or toxically white spaces. As we add brown and black to the rainbow flag, we also need to recognise that QTIPoC need safe spaces where they can live their complex cultural, sexual and gender identities. Kiki has brought together Bristol natives and visitors alike, with origins that span multiple continents. These stories and experiences from across the diaspora meet in the South West’s beating heart – Bristol.